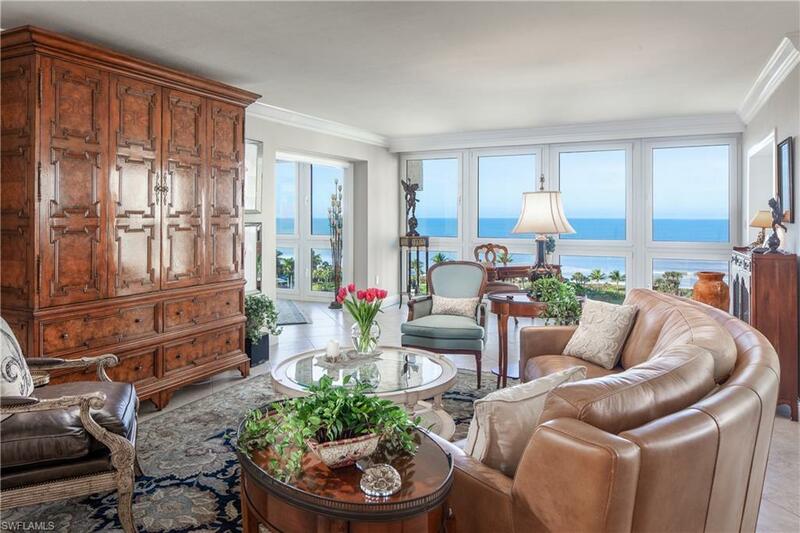 AMAZING MILLION DOLLAR BEACH VIEWS FROM EVERY ROOM IN THIS COVETED "B" BEST BEACH VIEWS STACK. 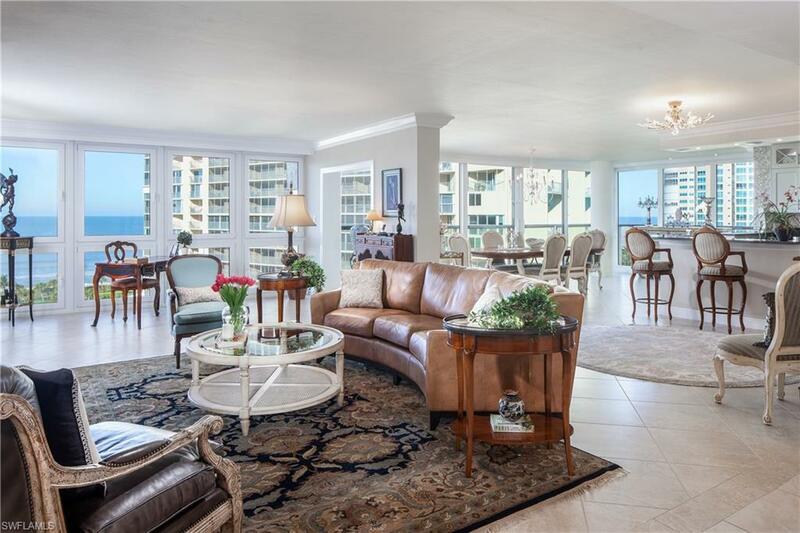 From the moment you walk through the front door you can expect the "WOW" factor with walls of windows overlooking the Gulf of Mexico. Fabulous high-end gourmet kitchen was designed by POGGENPPHL which features: Quartz countertops, gorgeous back splash, lighted glass accent cabinets, Viking Range, built-in cabinet with oversized refrigerator/ freezer, wine cooler and breakfast bar seating. 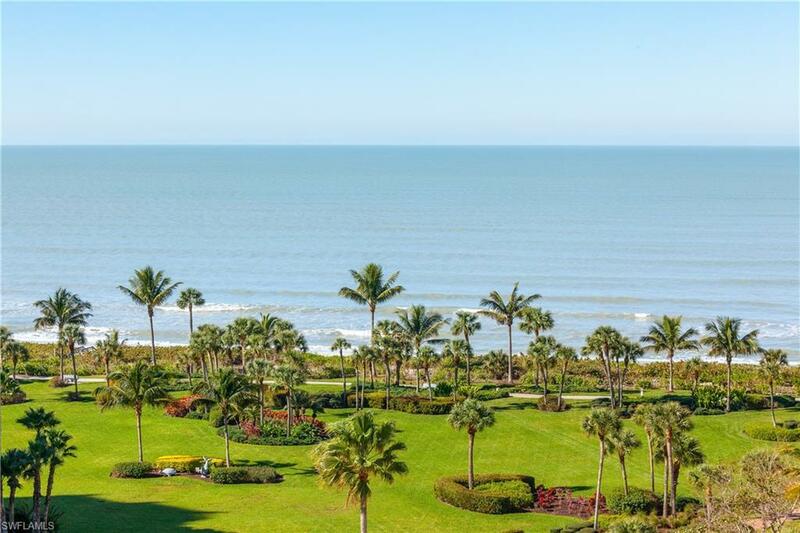 Imagine waking up in your luxurious master bedroom and looking out your window at breathtaking glistening views of the beach! Private guest en-suite with jetted tub. Third en-suite with closet and pocket door is being used as Den/Study. 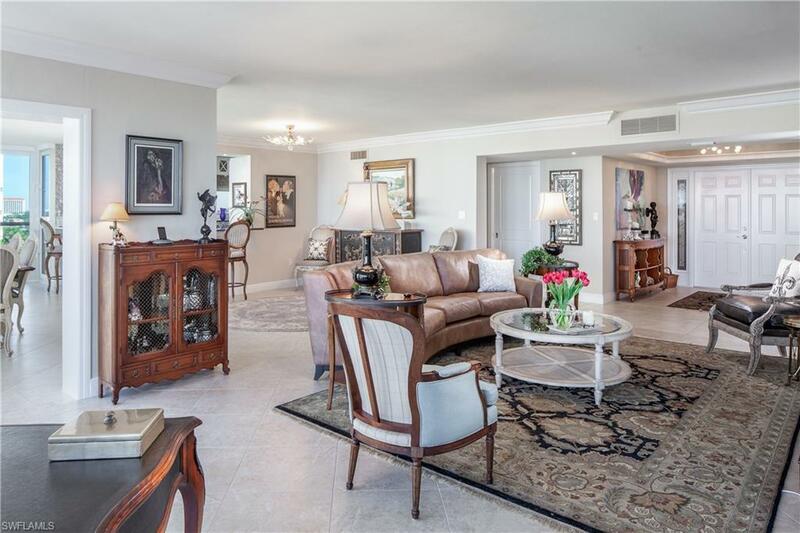 This beachfront beauty is conveniently located across the street from Village on Venetian Bay with upscale waterfront dining and shops. Allegro is a unique concept of 4 free-standing buildings interconnected by breezeways and is Pet Friendly too. Allegro residents have access to the Park Shore Beach Walk a sidewalk that runs along the shoreline. Start living the dream this Season and start soaking up the Sunshine and Captivating Sunsets! Just Another Day in Paradise!